Cindy creates paintings with multiple layers of shaped birch wood in a process she calls “Art Des Couches De Bois". 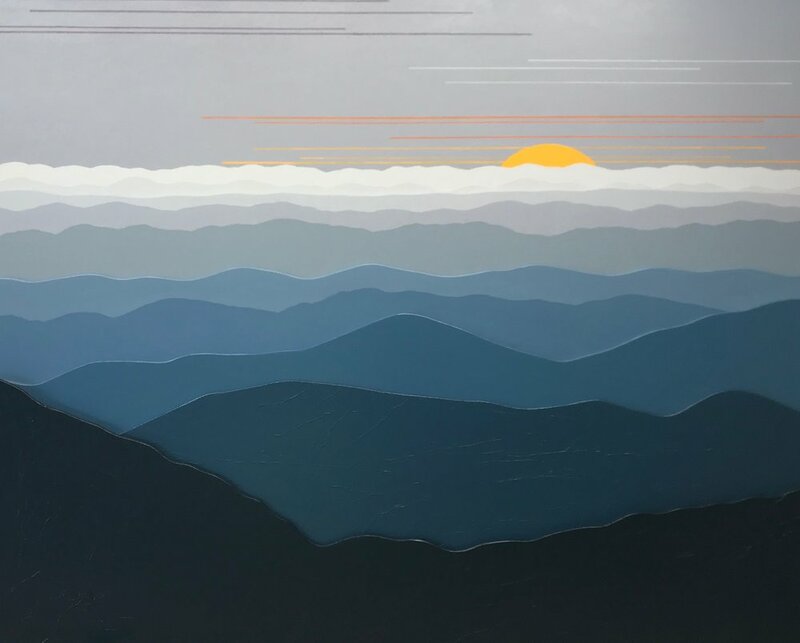 The layers of Cindy's dimensional painting makes a different looking painting from different viewing angles, and in different lighting situations. The first two pictures of the same painting, in the gallery below, illustrate the dramatic surprises these unique images offer. All Cindy's paintings are professionally finished with a 3/4-1 inch black wooden frame as shown in the picture above. For DIMENSIONS & PRICING scroll over image when viewing full screen. Many mountain vistas are panoramic and thus ideally suited to a multi-panel presentation. Cindy creates diptychs and triptychs of many scenes, and this design style is a popular feature of her commissioned paintings and custom installations.